PLEASE NOTE: This is the digital version of this book. This order does not include a physical copy of the book. Upon completion of your purchase you will be emailed a link that will allow you to download the file. This PDF file can be viewed on any PC or mobile device that has a PDF reader. Jonah: Lessons from a Runner, written by Duke Stone, is a small-group Bible study that focuses on the life of Jonah. It is part of the Character Sketches series and is now available as a digital download. 26.2--the distance of a marathon. If Jonah had a car, this would be his bumper sticker. He was a marathon runner. But he didn't run for the thrill of it; he ran because of fear. 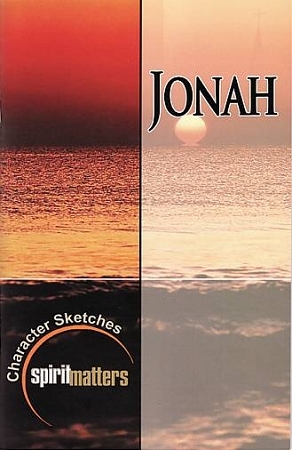 God had called Jonah to be His mouthpiece of judgment to a depraved people, but Jonah refused and ran away from God's call. As you study this life, you'll see obvious parallels to our everyday practices, and you'll be challenged to respond to God's call in the best way possible: with a resounding "YES!"